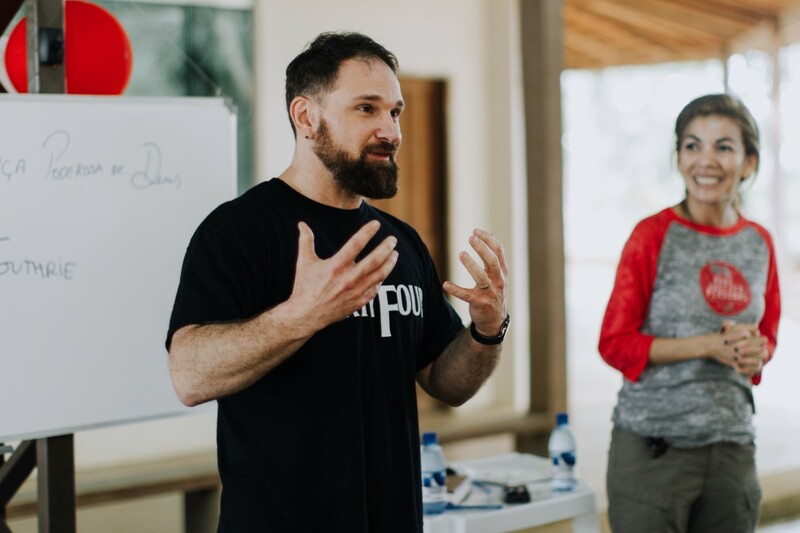 Belmont University Professor of Theology and Religion and the Arts Dr. Steve Guthrie was chosen to help lead a recent conference for indigenous pastors in an unusual location—on the banks of the Amazon River. The 6th annual Jungle Pastors’ Conference, a mission trip hosted by Justice and Mercy International, was held in an effort to lead indigenous Amazon pastors who have little access to training or teaching in sessions on worship and theology. Guthrie was selected to join a team of 21 teachers who made the trip, and the team served 59 jungle pastors and their wives. The conference consisted of large group worship services, breakout sessions on topics ranging from church finance to marriage to children’s ministry, shared meals and times of fun and fellowship. In addition to leading breakout sessions, Guthrie was part of an international group of musicians who played music for the week. He also explored the possibility of Belmont students participating in future trips with Justice & Mercy International.